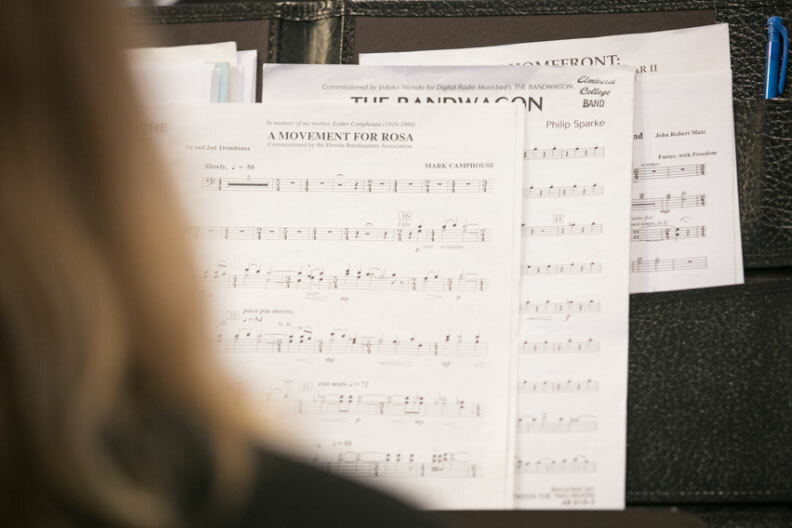 The Elmhurst College Wind Ensemble and Symphonic Band will host their first concert of the year on Sunday, Oct. 14. The concert also will be the first with John Heath, the College’s new director of the Symphonic Band. The concert will include a number of fall-themed pieces, including Eric Whitacre’s October and Philip Sparke’s Dance Movements. As part of the Bernstein at 100 celebrations taking place all year long across the country, the concert also will feature music by Leonard Bernstein, including “Danzon,” from the ballet Fancy Free; and “Make Our Garden Grow,” from Candide. In addition, Tom Stark, professor of trombone, will join the band for a solo performance from Johan de Meij’s T-Bone Concerto. Heath received his bachelor’s and master’s degrees from the University of Illinois at Urbana-Champaign. He went on to direct the Highland (Ill.) High School Band for 11 years and the Batavia High School Band for 22 years, and also directed the Highland Municipal Concert Band and the Batavia Community Band, which he founded. He also has received several awards, including the 2014 Illinois Music Education Association Distinguished Service Award and the Illinois State Board of Education “Those Who Excel” Teaching Award; and is a two-time recipient of the National Band Association Citation of Excellence. The Fall Band Concert will begin at 3:00 p.m. on Sunday, Oct. 14, in Hammerschmidt Memorial Chapel. The concert is free and all are welcome. Donations to the Ross Kellan Scholarship Fund will be accepted at the concert. The fund was established to honor Ross Kellan, a widely admired music educator and Elmhurst College faculty member. For information on future performances, visit the Department of Music website.